Veterans Affairs (VA) home loans are mortgages that are insured by the VA. The loans are made by mortgage lenders and banks. Service members, veterans, – and eligible surviving spouses may qualify for VA home loans. Note that this post is ONLY about home purchase loans utilizing VA loans – same guidelines may not apply for VA refinance or Interest Rate Reduction Loans (VA IRRLs). Who qualifies to get a VA Home Loan? 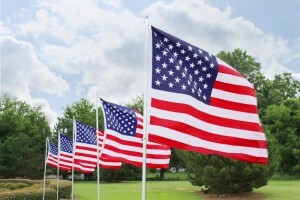 A certificate of eligibility is required for all VA home purchase loans. This can be obtained through VA’s website https://vip.vba.va.gov or by contacting the VA’s eligibility center at 1700 Clairmont Road, Decatur, GA 30031 Phone: 888-768-2132. Most regional loan centers also prepare a certificate of eligibility for walk-in veterans. The Department of Veterans Affairs (VA) Loan Guaranty program does not set a maximum amount that an eligible veteran may borrow using a VA guaranteed loan. For 2018, the maximum loan limit can be higher than $1M in certain counties. However, most lenders don’t lend beyond $679,650. All the counties qualify for a loan amount of $453,100 (or lower). Most lenders would require a minimum credit score of 640. Veteran must either occupy the home at the time of closing or certify that he or she will occupy within 60 days of loan closing. The veteran’s spouse who occupies the home satisfies the occupancy requirement when the veteran cannot occupy the home due to over-seas active-duty assignment. See the chart below for funding fees. As noted above funding fees can be added to the loan amount and you do not need to pay this from your pocket at close.